Do I like Allen & Ginter? No, not really. But I will admit that they did a great job this year with many of the legends that were included in the 2012 release. I have added a bunch of Hall of Famers from this issue to my collection, and most of them are improvements from their previous cards that are part of this brand. What a fantastic looking card. 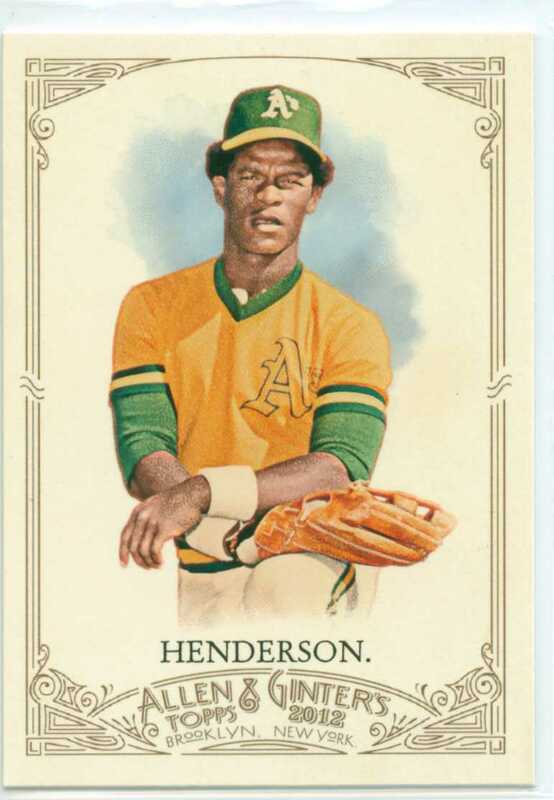 I love that Topps used Rickey’s early years for their inspiration. 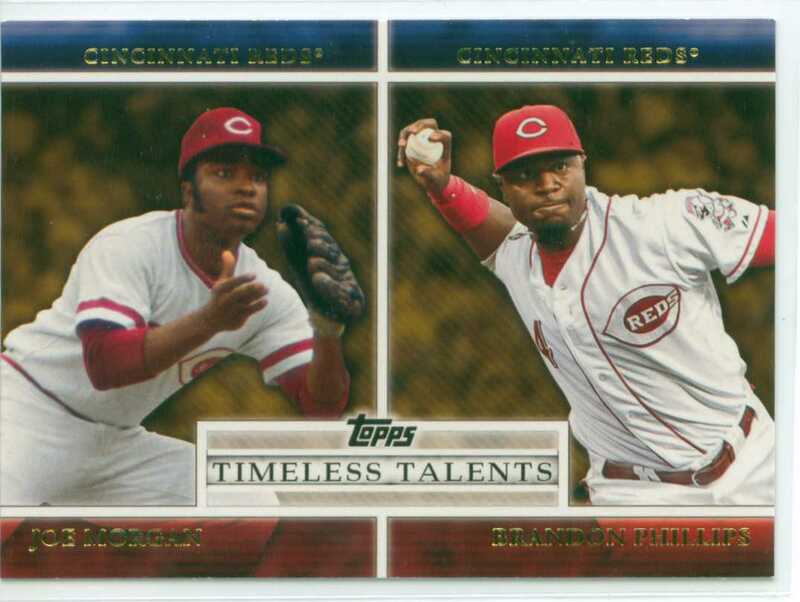 There are many pairings in the ‘Timeless Talents’ series that Topps issued in their 2012 Series 1 set that I do not understand. And then there are a few that I agree with and would say that they ‘work’. This card is one that ‘works’. Featuring former second baseman and Hall of Famer Joe Morgan with current second baseman Brandon Phillips is a good match-up. Obviously, they both play the same position and that makes the pairing work. They are both players that the teams needed to succeed too. And while Morgan’s team was more successful at winning, Phillips is a key cog to the Reds’ offense and defense. Great careers by Joe Morgan and Brandon Phillips!! By the time that the 1993 baseball season started, Jim Abbott was a New York Yankee. But, with the deadline that Topps had with the production of their 1993 baseball set, they were either unaware or unable to make Abbott a Yankee in their set. 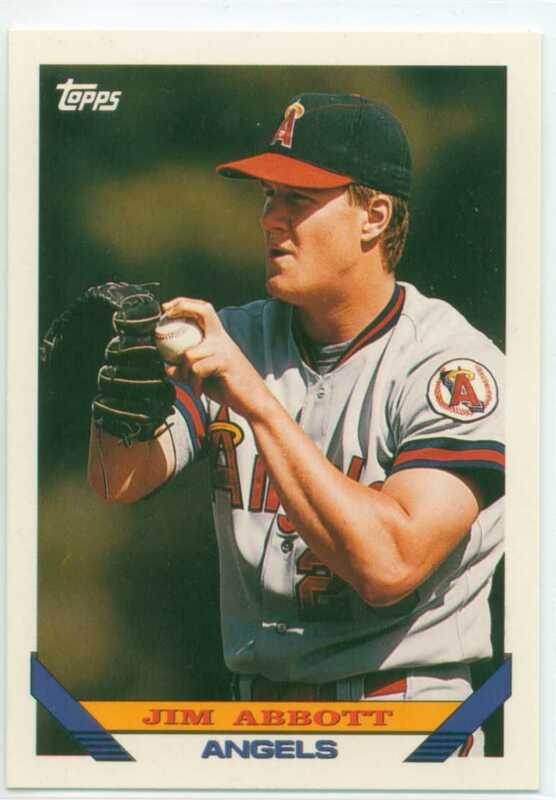 Thus, in the 1993 Topps baseball set, Jim Abbott is an Angel. And to be honest, I always think of Abbott as an Angel first. And yes, I have always been a fan of the 1993 nameplate and basic graphics! On this day in 1998, Mark McGwire broke one of the records in baseball that most fans thought would never fall. At home, and playing in the historic Busch Stadium, ‘Big Mac’ hit the 62nd home runs of his 1998 baseball season, eclipsing the 61 round-trippers that Roger Maris hit during the 1961 season. 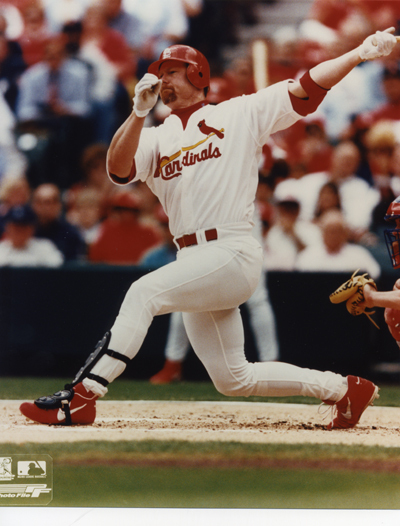 One of the game’s greatest sluggers, it was this home run that catapulted McGwire into the main-stream of America and made his name known in every household. And while some were not too happy that Maris’ record had been snapped, it is very clear that McGwire did quite a bit in 1998 to rekindle life into a sport that needed it desperately! Thank You and Happy Anniversary Mark McGwire!!! 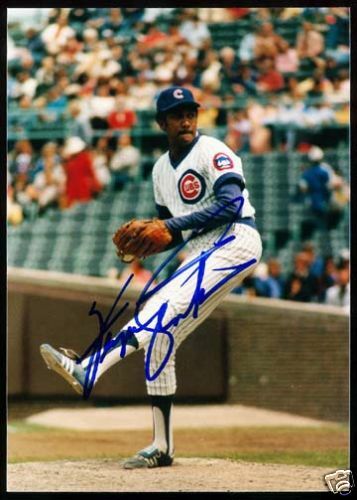 On this day in 1972, Fergie Jenkins recorded his 20th win of the baseball season. This victory gave Fergie 20 wins, or more, in 6 consecutive seasons and solidified him as one of the most dominant and consistent pitchers of his era. Not a bad run at all!!! Happy Anniversary to my favorite pitcher of all-time, Mr. Ferguson Arthur Jenkins!! !